Bright, welcoming and with a gorgeous, sun-kissed terrace on which to while away the wonderfully warm summer days (and nights) for which the Amalfi Coast is famous, B&B La Mammola is exactly the way a home-from-home in Positano should be. More like a private home than a B&B, La Mammola has just one room reserved for guests - a spacious, light-filled room for two with independent entrance and a full range of hotel-standard amenities, from air conditioning to mini bar. And then there's the terrace, a large solarium terrace complete with comfortable sun loungers, where to top up your tan or simply relax, a good book or a refreshing glass of chilled limoncello in hand. Travelling with the kids on board? 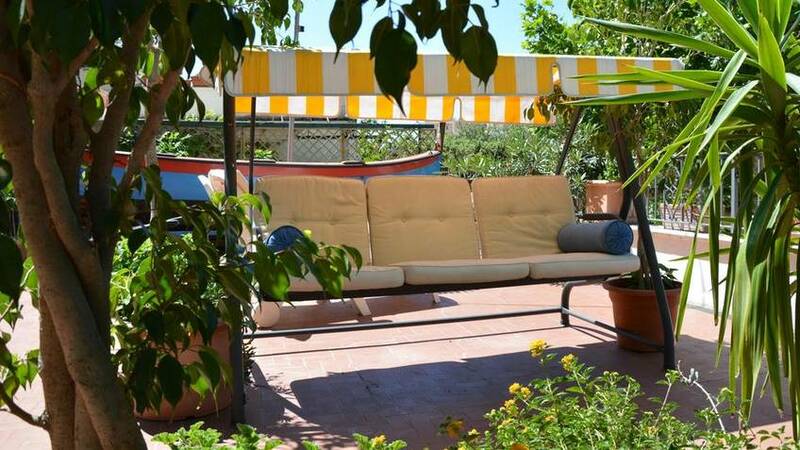 You'll love La Mammola's Casa Maria: an attic apartment in the center of Positano, comprised of one double bedroom, a sitting room with sofa bed, two bathrooms and a kitchen-dining room. At B&B la Mammola the days start in style with a delicious Italian breakfast served al fresco on the flower festooned terrace overlooking the rooftops of Positano. Filled with coffee and cake, you'll be ready for a morning spent exploring the boutique-lined lanes of Positano, mucking about on the beach (Spiaggia Grande is just a 5 minute walk from the B&B), or touring the other picture perfect towns dotted along the Amalfi Coast - Amalfi, Atrani, Furore and Maiori are, in fact, all just a short and incredibly scenic bus or boat ride away! Book La Mammola on Positano.com now with no additional booking fees.